I captured this image about 120 miles off the coast of Sarasota, Florida. 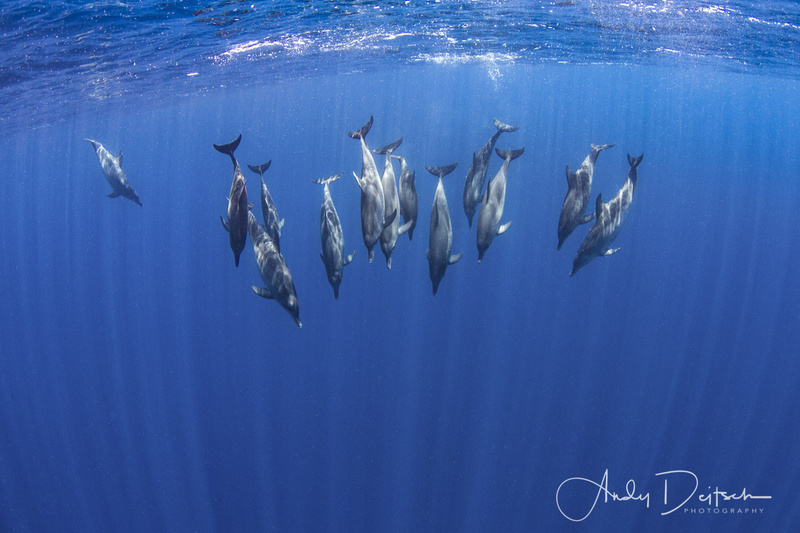 We came across a pod of about 50 spotted dolphins. I slipped into the water with mask, fins, and snorkel and swam with them for a while. At this moment, a group of the dolphins dove down right in front of me. This is captured with ambient light, no strobes.